On-demand translations have come a fairly long way in the past few years, but they aren’t quite as capable as the Communicator in Star Trek. San Francisco-based startup BabelOn believes it can bridge that gap with its speech synthesis technology that it says will let you translate anything you say into other languages, in your own voice. 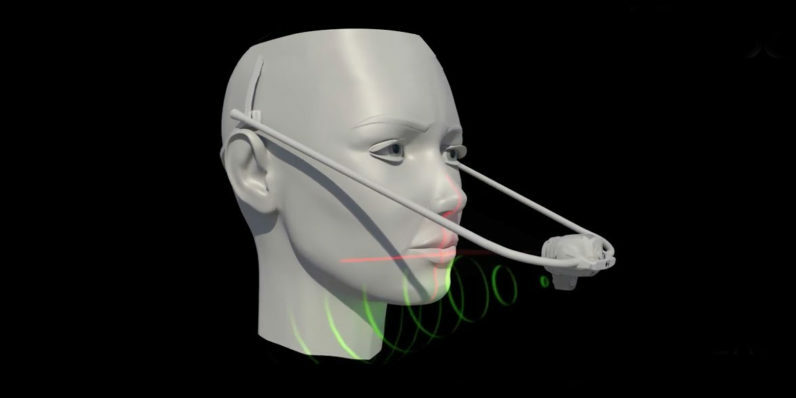 To achieve this, it’ll use its own software and custom-built hardware (no mic necessary) at its San Francisco studio to capture various attributes of how your voice sounds, and create a unique BabelOn Language Information Profile (BLIP). BabelOn’s system will then be able to synthesize speech in languages you don’t speak, and is presently targeting English, French, Spanish, German, Portuguese, Mandarin, Japanese, and Hindi. The company says that its tech, which has been in the making for 13 years now, will enable a wide range of applications, including voiceovers for film and games, educational content, virtual assistants in phone-based services and medical devices, and even the preservation of languages and voices for posterity and future re-use. It’s worth noting that it might be a while before we hear synthesized speech from BabelOn, though; capturing a voice at the company’s studio takes about two hours and generating a range of modulation and translation capabilities could take between a week to several months. The company says that its first prototype will take another six months to build, and in about three years, it should be able to allow for real-time translation. Of course, there’s also the matter of keeping BLIPs secure, so that people can’t steal your voice and use it to log into your company’s network or access your bank account. To that end, BabelOn told Engadget that it will use “a highly encrypted offline voice vault to store all of the BLIP, which would be curated upon request of the [original] speaker.” Co-founder Daisy Hamilton also said that BLIPs would have a reference visual cue that indicates when voices and languages have been altered, which should ideally thwart scammers to some degree. Oddly, the project is raising funds of $30,000 on Indiegogo’s crowdfunding platform, and offering oddball rewards to backers, like fanny packs with Bluetooth speakers, a voice health report and a download of a song featuring a synthesized voice. Creating your own BLIP will set you back by $5,000, and you’ll have to visit BabelOn’s SF studio to do it; creating a translated version of a song with your own voice will cost $50,000. With high initial costs, the company will be better off approaching film and game studios to generate translated content before approaching consumers who might want to have some fun with the technology.